On the 24th January 1536 in the tiltyard at Greenwich Palace, King Henry VIII’s horse fell heavily, knocking the King to the the ground and leaving him unconscious for two hours. Fortunately, the King survived the accident, but some historians and authors believe that this accident had a major impact on his psyche and health, and that Henry VIII was never the same again. Has there been any research from a psychological perspective as to whether the jousting accident had a physical impact on Henry which then changed his personality? IE a brain injury. In my opinion, the jousting accident seems to be a watershed in Henry’s life. The brutality Henry showed after the date of the accident seems to increase exponentially. Or maybe the veneer of civility was taken away by the accident? I actually give further details on this in my book and mention an article – http://www.independent.co.uk/news/uk/this-britain/the-jousting-accident-that-turned-henry-viii-into-a-tyrant-1670421.html about this. 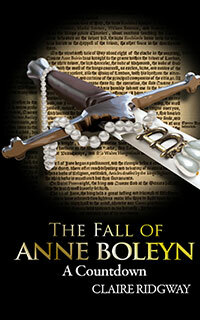 See also http://www.theanneboleynfiles.com/5819/why-was-henry-viii-a-tyrant/ and http://www.theanneboleynfiles.com/8139/henry-viiis-jousting-accident-24th-january-1536/ for further thoughts. In a programme called Inside the Body of Henry VIII a doctor looked at the effects of all the accidents and the illnesses that Henry suffered and his life style and diet on his body. 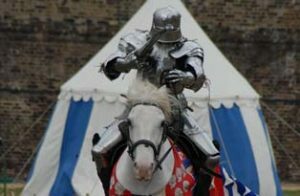 When it came to the jousting accident they looked at the amount of weight that Henry carried at the time; that is the armour, the war horse, the full armour on the war horse and the possible size of the King, who was still quite fit, but was bulky at this time. They concluded that the horse was travelling at about 30 miles an hour, the fact that he and his opponent were thundering across the ground at full gallop, and that he fell heavily with the horse on top of him. It was the same as a large war tank falling on you. If several tons fall on you, you will suffer several very nice compressions, will have crushed and bruised and broken ribs and bones and will suffer a lot of tissue damage. The head will be whip lashed back and forth and the brain will rattle around inside and thus the force of the head hitting the ground and your body coming to s sudden hault will damage the temperol lobs and yes this will result in some form of brain injury. It is medically a concern to be unconscious for five moments but Henry was out for two hours. This will result in some changes to his personality. It may not be all at once, but all over time you will see the changes; the mood swings, depression, headaches, unable to make decisions, erratic behaviour and more bad temper. Henry was already erratic so in his case it may be more pronounced and he would become paranoid. This was the verdict of a physologist on the show. The jousting accident is definitely thought provoking on how it altered his relationship with the queen. How was their relationship before the accident? If everything changed as quickly as it seemed to, with the help and guidance of enemies of the queen, it seems very likely that their relationship fell apart because of his brain injury. So sad.